Manufacturer of a wide range of products which include mono masterbatch. Mono Masterbatch is the chemicals which are added to the polymer matrix to achieve the extra desired properties. They give internal beauty and strength to the polymers. 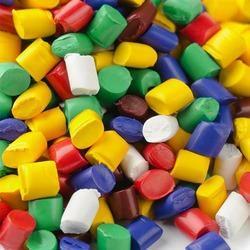 Polymer Masterbatch is in fact, oxygen for the plastics in today’s world where there is a critical demand for plastic products. Understanding this need, we offer a range of Additive Master Batches including UV additive, which is appreciated for its quality all over the nation. Looking for Mono Masterbatch ?